Reliant Installations – Permastore Tanks – When you think silos & tanks, think Reliant Installations. Approved Permastore Tank supplier. 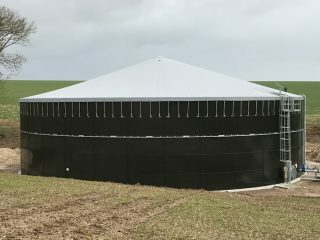 As one of the foremost experts in silos and tanks in the UK, Reliant Installations is your answer to world-class quality containment and storage solutions. We provide end-to-end supply and installation solutions and services for the agricultural, industrial, utility and municipal sectors. 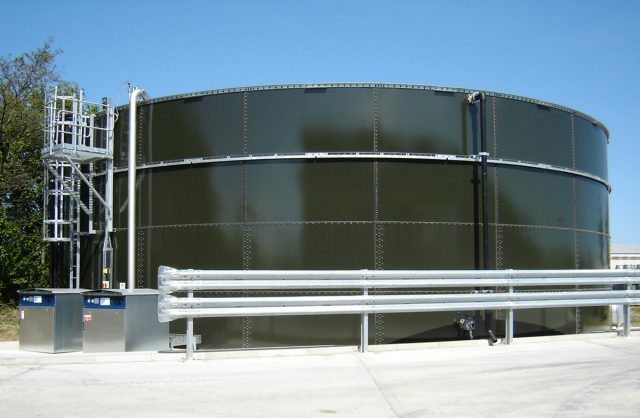 Some of our specialised products include buffer, pasteurisation, digester, and digestate tanks for the Anaerobic Digestion (AD) and Biogas industry as well as agricultural and municipal slurry stores. Our product range includes a wide variety of products manufactured in the UK which includes stainless steel and Permastore® Glass-fused-to-Steel tanks and silos. Reliant Installations also provides engineering and installation support services. Our in-house engineering workshop possesses the technical know-how and manufacturing capability for the fabrication of ladders, gantries, walkways and other ancillary equipment required for the installation of tanks and silos. Tank ancillary items, e.g. flanges, access steelwork, bobcat sheets, flanges. Reliant are part of the solution, not part of the problem. Reliant supply tanks for a wide range of sectors including Biogas, Agriculture, Aquaculture & Industry. 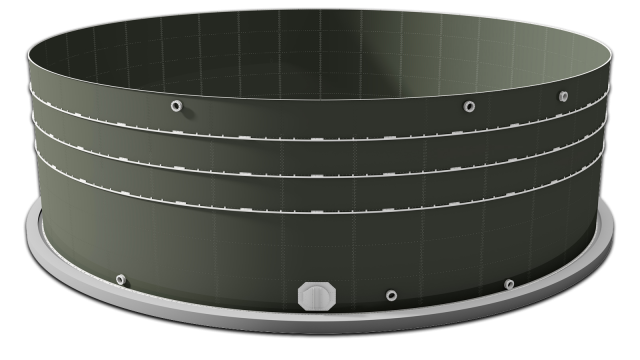 Reliant supply tanks covers including GRP, single or double membrane and trough. Reliant Installations provides its customers with extensive engineering support in the fabrication or installation of tanks and silos. Reliant offer a full range of supporting site facilities services including refurbishment & maintenance, dismantling, tank cladding and ground works. Established in 1974 and based in North Yorkshire, Reliant Installations has over the years gained for itself credibility across the UK as a quality supplier of tanks and silos. The impeccable track record for quality, on-time delivery and the highest safety standards that Reliant installations enjoys today in the industry can be traced back to the engineering principles instituted by the company’s founder Raymond Hundsdoerfer. Reliant Installations specialises in partnering with major suppliers of technology and processes to offer near turnkey solutions for clients. We have the expertise and capability to independently commission and conduct green-field site operations and installations directly for clients or in association with other process providers.